The Public Like Displays experiment wanted to better communicate data on city challenges – such as waste management, energy consumption and changing demographics – to citizens. The team hoped that by making this data more accessible, citizens would not only be more informed and engaged in public debate but would also be more empowered to act upon this data in their cities. 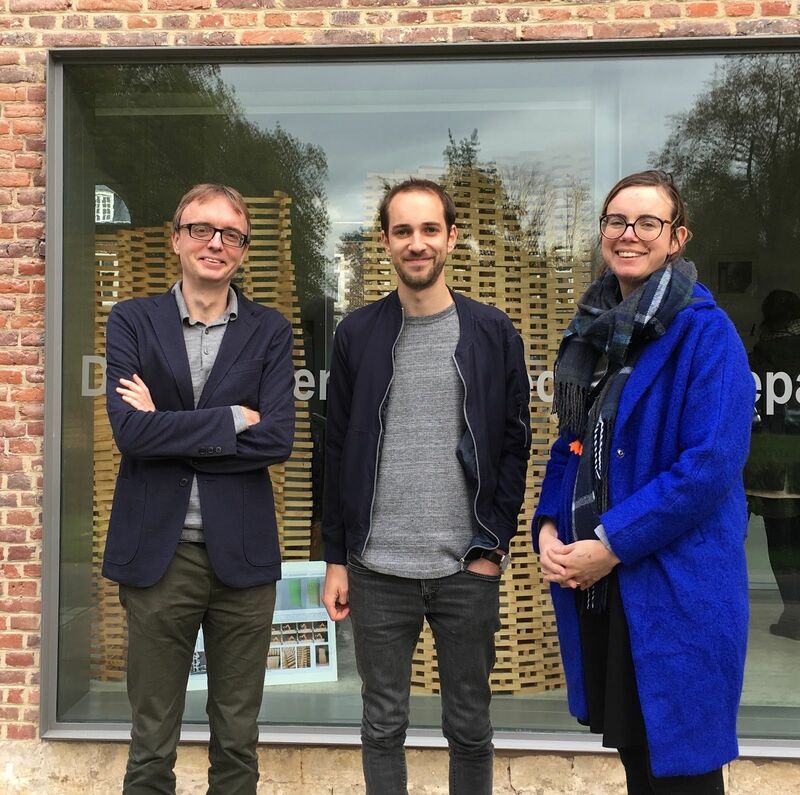 The project resulted in a toolbox that is designed to be open, flexible, creative and easily adaptable to the conceptual and technological experience of citizens. “Wow, is this really true? I did not know this was such a problem in our city! We should act upon it urgently” (responding to data on air pollution in Aarhus versus London). Prototyping the interactive polling capabilities of the tool in a 3D printed case and using CAVI’s DUL radio. 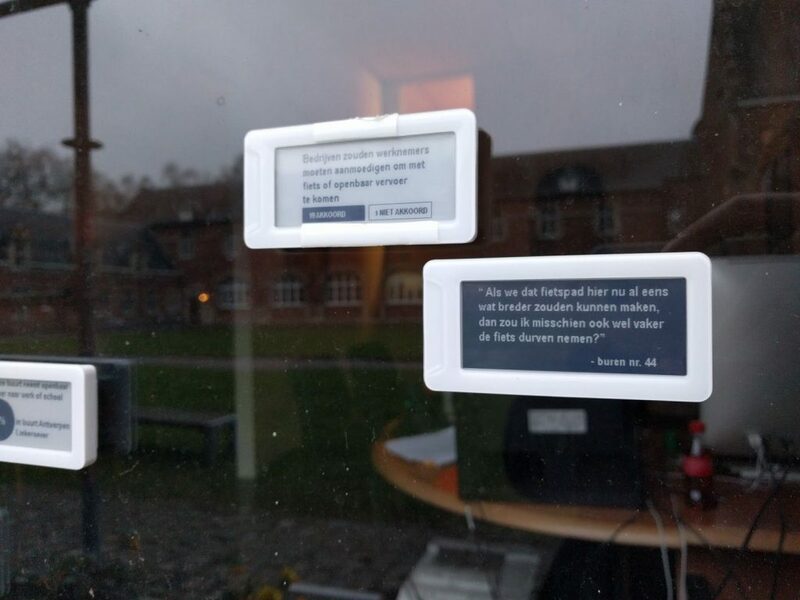 First experiments with a new batch of e-ink displays. Exploring readability in daylight, ways of mounting them on facades and how to present polling questions. 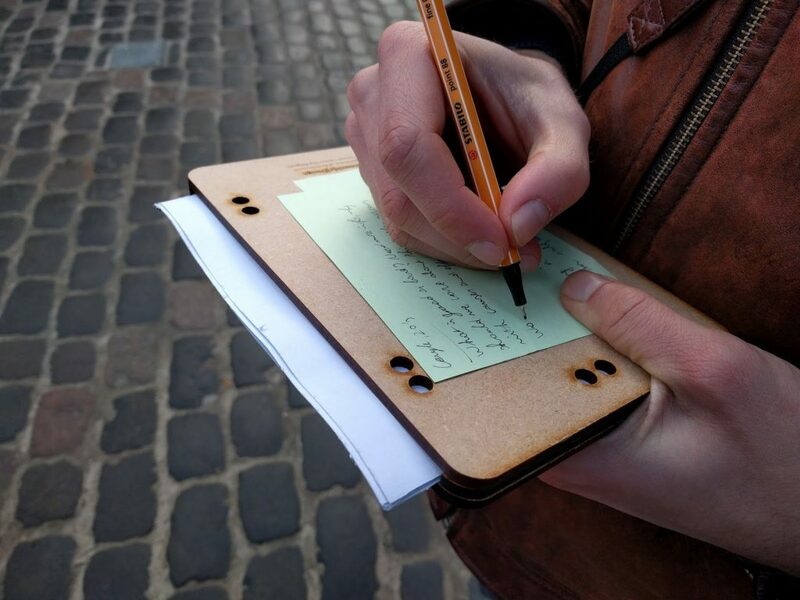 Co-creating on the street, writing down feedback on the physical prototype. 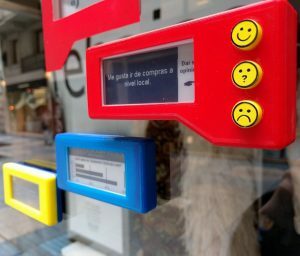 Someone refers to the urban data that is displayed in Calle San Francisco in Santander. 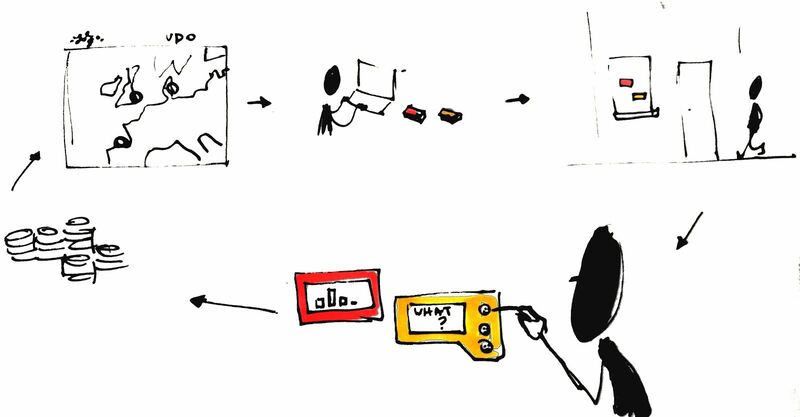 Potential user journey, overview of the toolkit: 1) user selects data from the open data observatory, 2) the user selects a representation via our online platform, 3) hangs it on a location of their choice, a window, in this case, 4) passer-by inspects data and provides their opinion and 5) results into data. This data is uploaded to the urban data observatory; these results can be presented on another display building block, thereby generating a feedback loop. 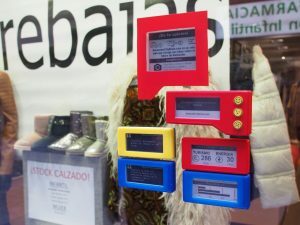 See picture ‘interactive’ in attachment: The public visualization toolkit on the shopping window of Los Encantos in Calle San Francisco in Santander. Passers-by can respond on the question displayed via the smiley buttons. We continued to employ an iterative methodology throughout the project. 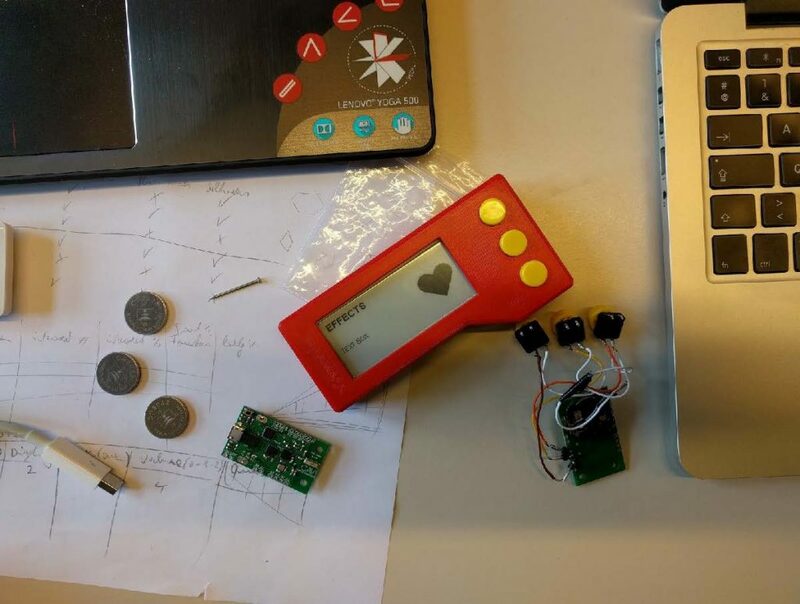 From the paper prototypes on the streets of London, to the first digital experiments in Aarhus and functioning prototype in Santander, we continuously made almost daily changes based on feedback from citizens and from our observations. We believe this helped accelerate the evolution of the project over the brief period of time in which it was developed. Conducting the experiment in three countries different from our own afforded us insights into how similar data (e.g. air quality) can be approached entirely differently depending on the local sentiments and context. Keeping a blog or diary of the experiment helped us to reflect on the project. Without that type of record keeping, it can be challenging to accurately remember the decisions making the process as it can easily become blurry due to the rather intense nature of the project.